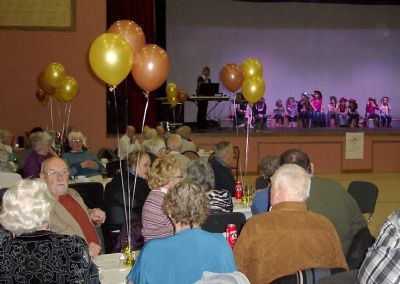 This annual night out for the "Old Folks" of Newtonhill was once again a great success. Many members of the community assisted in once again making this event a great success. Rotary members in their "Blue" uniforms acted as waiters and helped to ensure every guest had a memorable evening.